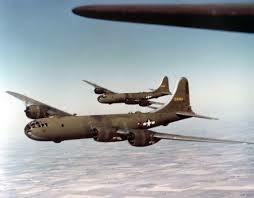 The nuts and bolts of life…. When you’re 93 years old, what do you see yourself doing every Tuesday and Thursday for four hours each day? Perhaps napping? Or reading a large print book with a cat curled up in your lap? Maybe playing bingo? Most likely, going to work and doing an important job is not on yours or most people’s retirement list. But Russ Rosell is a man who does exactly that, and who does it well. 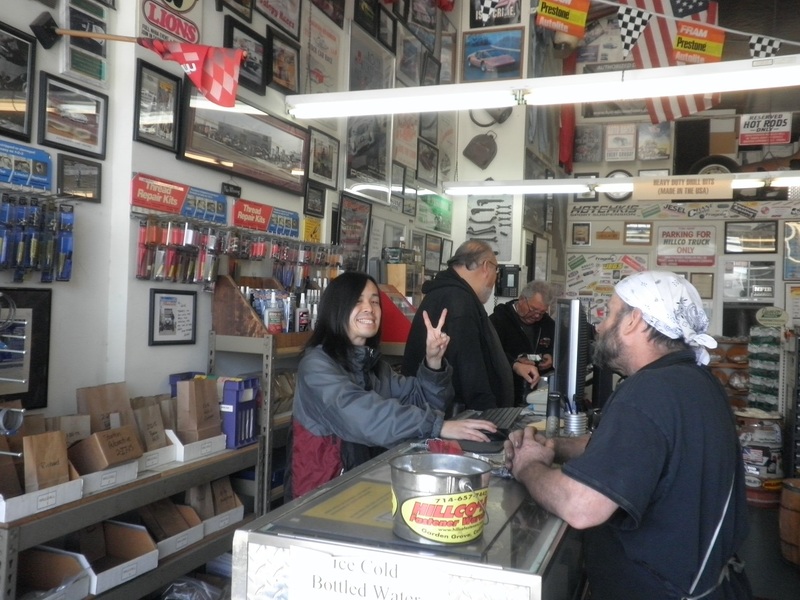 Every Tuesday and Thursday from 12 to 4 p.m., he works at Hillco Fastener Warehouse, Inc., located in Garden Grove, California. 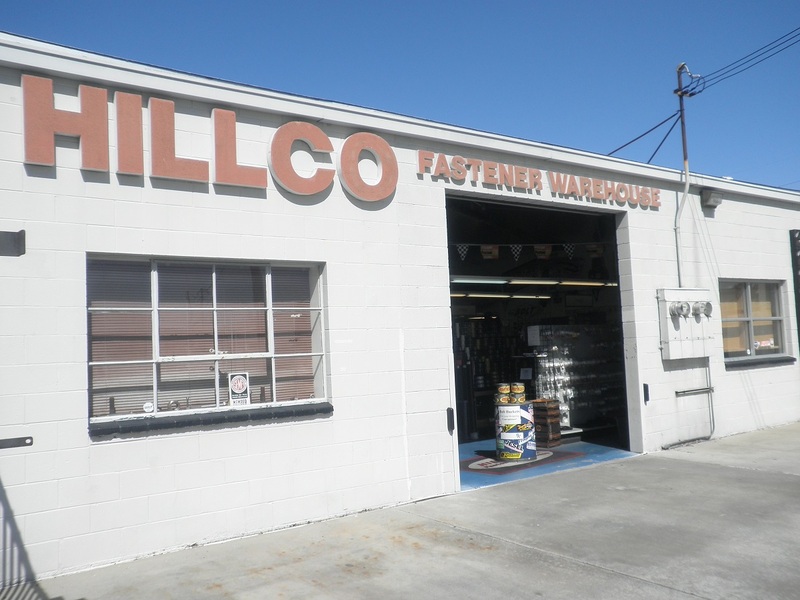 Hillco specializes in automotive applications, with more than 12,000 parts in stock, and has been doing business since 1976. And for the past fourteen years, Russ has played an integral role in the company. 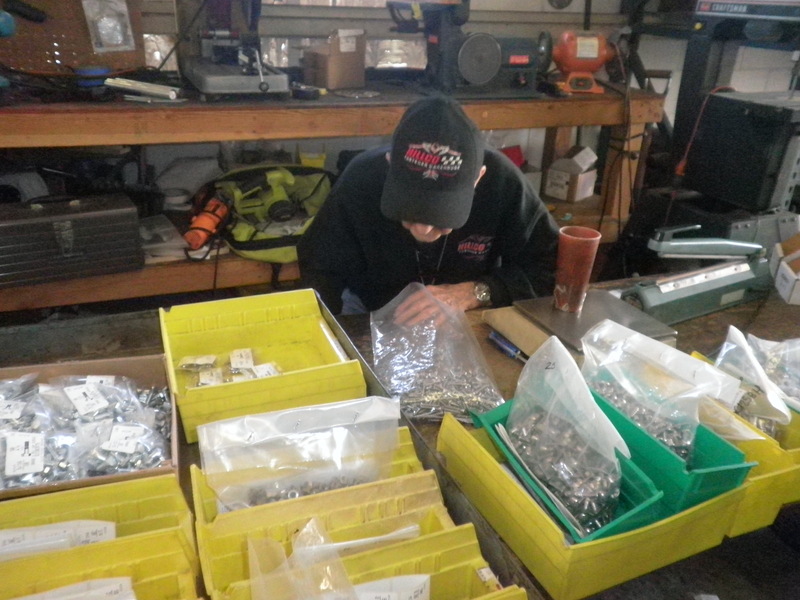 He sorts, packages, and labels bags of sundry nuts, bolts, and washers according to their shape, size, material, and more. 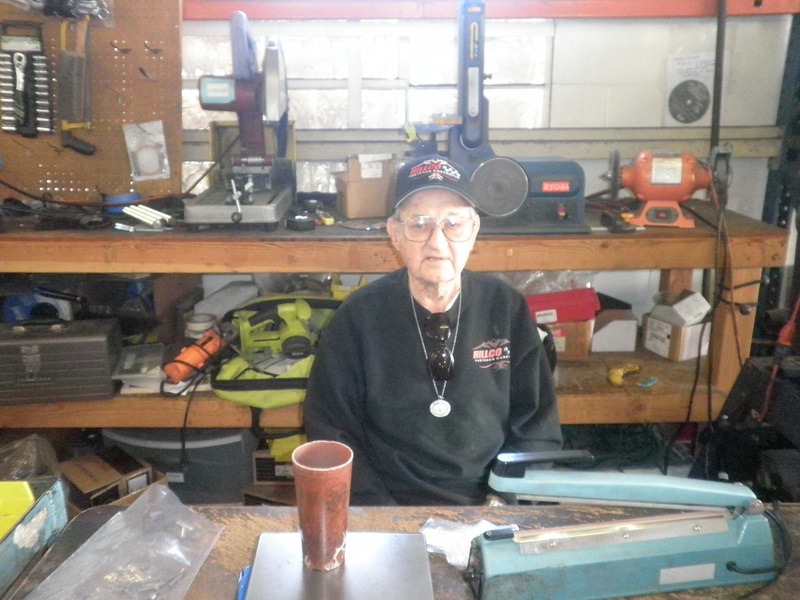 Russ has his own station set up in the Employee’s Only section of the Hillco warehouse, including a swivel chair where he can sit comfortably while he combs through fasteners. Billie Hill, one of the owners, described him as a “very meticulous and particular” worker, and the proof is in the pie: when we showed up to interview Russ, he was hard at work bent over several yellow containers chock-full of washers, with completed bags neatly labeled and arranged on his desk. And he doesn’t take a break at work – just a few moments to eat a sandwich and a soft drink. 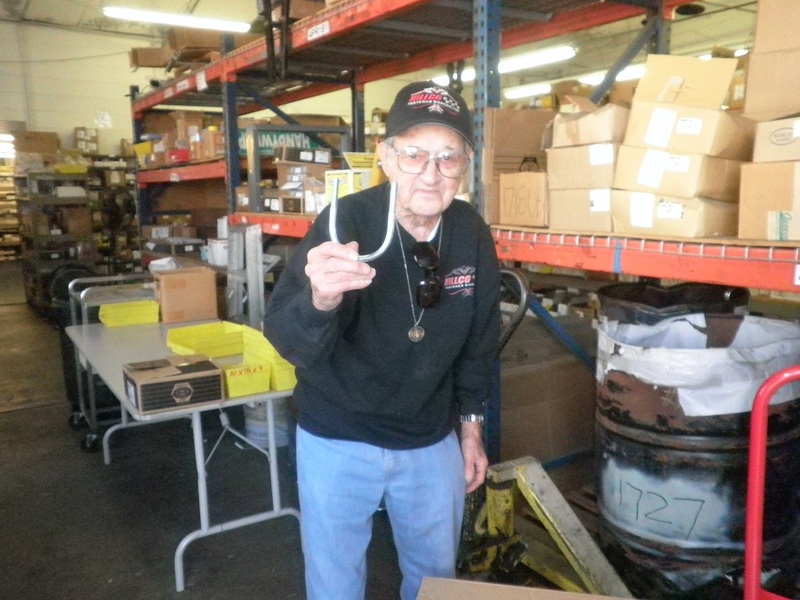 Andy, who has been employed at Hillco for five years, said that he loves “sitting back there and hanging out with Russ…he’s a funny guy.” Russ quipped that he’s “just tryin’ to be.” But a glimpse of his humor is visible in the tune he often hums while packaging fasteners. There’s an old Glen Miller song that goes: “If there’s a gleam in her eye/each time she straightens your tie/You know the lady’s in love with you.” Russ likes to hum the version that goes: “When there’s a gleam in her eye/she’ll unbutton your–” well, you get the point. 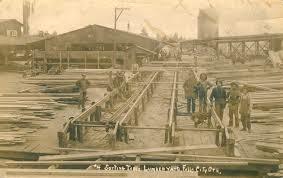 Russ eventually worked for a window installation business and also managed two lumberyards in California. He especially enjoyed this managerial job. Later, he became a driver for Sagan Auto Parts. 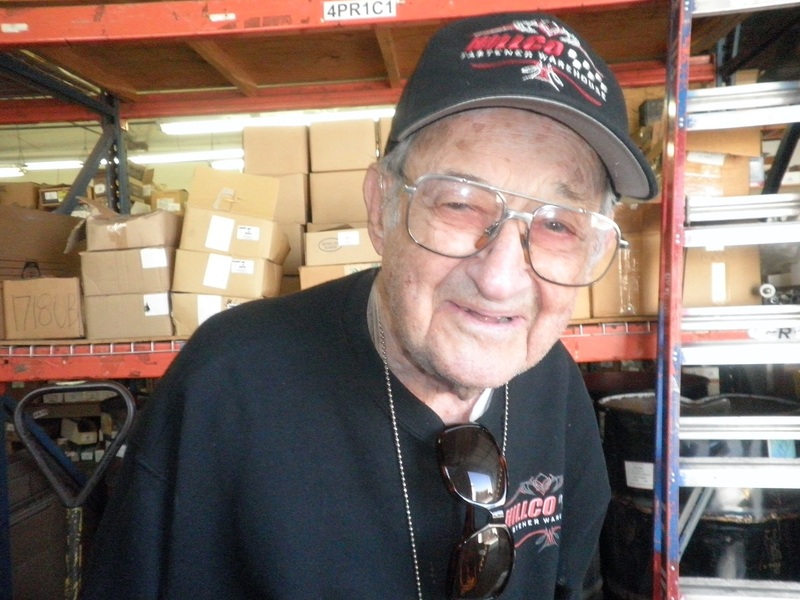 He joined the Hillco team after Billie’s father, who he was acquainted with, asked, “When are you going to come work for us?” And so Russ did. He considers himself an apprentice in life because he likes to do things and help people, but a teacher in the sense that he has taught his two daughters and son everything he knows. 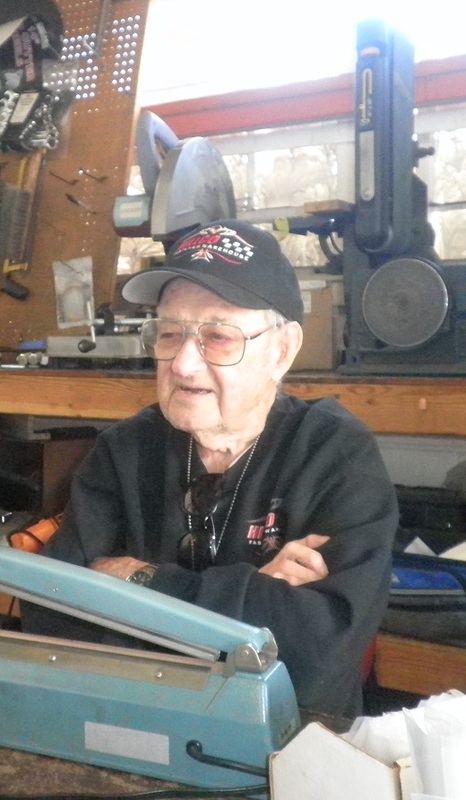 He also has two grandchildren whom he loves very much. Perhaps a little ironically, Russ currently lives in the Leisure World senior community in Seal Beach, California. When he’s not working at Hillco, you can find him getting a hamburger, French fries, and a soda at his local In ‘N Out, where – in what is a perfect indication of the kind of guy he is – he has also been welcomed in as part of the family. 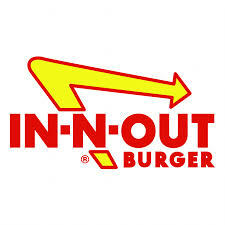 In fact, Russ was given three complete In ‘N Out uniforms replete with his name. 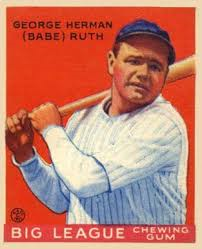 His other favorite pastime is collecting baseball cards, with Detroit, of course, being his favorite team, and his Babe Ruth card being his most prized piece. Russ does not plan on doing much to celebrate his birthday when it comes around on October 24. For him, “It’s just another day, really.” This humble response showcases his unpretentious personality, because to him the most important thing, and the motto of his life, is to “just be kind to each other.” Simple words we should all carry into our golden years as gracefully as Russ.